When people drive up to your home in Bunker Hill Village does a peeling fence stand out? If you have a deck, porch or fence that needs repairs getting them freshened up is simple when you call Palmer Pro. 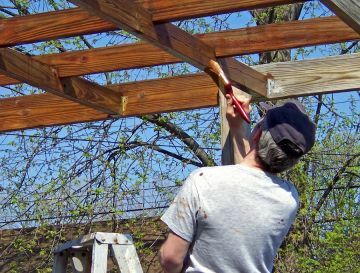 If you are looking for a Bunker Hill Village deck staining contractor to spruce up your fence or deck, look no further. By hiring Palmer Pro to improve your deck and fence, you can enjoy your beautiful outdoor space once again, and you won't need to lift a finger (just the phone!) Call (832) 410-1868 for a free, no obligation quote. Why Palmer Pro for Bunker Hill Village Staining? Affordable. Staining your fence in Bunker Hill Village or staining your deck shouldn't break the bank. Working with Palmer Pro is budget-friendly. Work with professionals. Palmer Pro's Bunker Hill Village deck staining team is reliable and expertly trained. You can trust us to treat your deck or other wood staining job like we'd treat our own home!